Two former college buddies who quit their day jobs to make ugly Christmas sweaters have sued retail giants Wal-Mart Stores Inc., Target Corp. and Macy’s Retail Holdings Inc. for allegedly infringing their cringe-inducing holiday garb. Clothing makers and fashion designers often use trademark law to go after counterfeits and knockoffs, but the owners of Tipsy Elves LLC—a onetime corporate lawyer and an former endodontist who share a passion for apparel that crosses the line of good taste—are using copyright law. They brought their latest case Feb. 24 against Target ( Tipsy Elves LLC v. Target Corp. , S.D. Cal., 17-00385, complaint filed 2/24/17 ). This is on the heels of similar claims against Wal-Mart and Macy’s in the same court. The extent to which copyright law can be used to protect designs put on clothing is part of a case the U.S. Supreme Court is expected to rule on soon. At issue is whether simple shapes and designs on cheerleader uniforms are protected by copyright ( Star Athletica, LLC v. Varsity Brands, Inc., U.S., 15-866, argued 10/31/16 ). Tipsy Elves should have an easier time than the company in the cheerleader case persuading a court that its designs are separate from the functional aspect of the clothes themselves, Susan Scafidi, a fashion law professor at Fordham University told Bloomberg BNA. The Elves’ complaints against the three retailers don’t state dollar figures for how much Tipsy Elves wants to recover, but they sought injunctions to halt the trafficking in allegedly infringing goods and asked for compensation of Tipsy Elves’ losses and the defendants’ profits from any infringing sales. Co-founders Nicklaus Morton and Evan Mendelsohn were roommates at UC San Diego and went on to careers in highly respected professions. But “we both had a creative side and were interested in business and recognized an opportunity in the market for a fun apparel brand,” Morton told Bloomberg BNA. “One of our best sellers is Santa who is peeing ‘Merry Christmas’ in the show,” he said. Morton described their strategy as zeroing in on the popular novelty holiday clothing market. But instead of producing low-quality, disposable ugly sweaters intended to be a one-time party outfit, they wanted to make clothes that buyers would keep and be happy to wear again. They made their first sales during the 2011 holiday season, then landed an appearance on ABC’s “Shark Tank,” in an episode that aired in December 2013. Morton said “it’s hard to tease out” the exact impact of their TV appearance, but before the episode, they had made $1.2 million in sales. Since then, they’ve made about $40 million. They’ve also earned a mentor in the form of investor and “Shark Tank” cast member Robert Herjavec. Among other things, the IT millionaire pushed them to expand their novelty goods beyond Christmas themes. The company’s items have frequently ended up on websites’ lists of recommended Christmas gift lists, Morton said. Tipsy Elves now offers about 1,500 unique products, according to Morton, and they’re not just holiday sweaters. Their lines now include ski gear and beach wear. They also have tie-ins with movies. Perhaps a sign of the company’s growing success is the appearance of what they consider infringing copies of their sweaters in 2015 at three major retail outlets. Scafidi said that a small startup like Tipsy Elves should be prepared for this kind of problem. “Tipsy Elves is maybe a small company, but they are a wildly creative and amusing one and that kind of humor tends to draw attention,” she said. But, she said, being the little guy isn’t always such a big disadvantage these days. “Being small gives you a legal disadvantage simply from a financial perspective, but it gives you a social media advantage because there is sympathy toward the little guy that gets bitten by the large corporation,” Scafidi said. Lisa W. Rosaya, a copyright lawyer with Baker & McKenzie LLP, New York, told Bloomberg BNA she was skeptical that all of the Elves’ claims would survive legal hurdles. “When you look at the nature of the designs as a whole, I think there’s enough holes to poke in this case,” according to Rosaya, whose firm has often represented clients in copyright infringement disputes over clothing or fabric designs. “It’s definitely tough on a small business,” to have to decide what to do when facing copies from big competitors, Morton said. “We didn’t really think that that was going to be part of our day-to-day business at all. Maybe that was naïve,” he said. 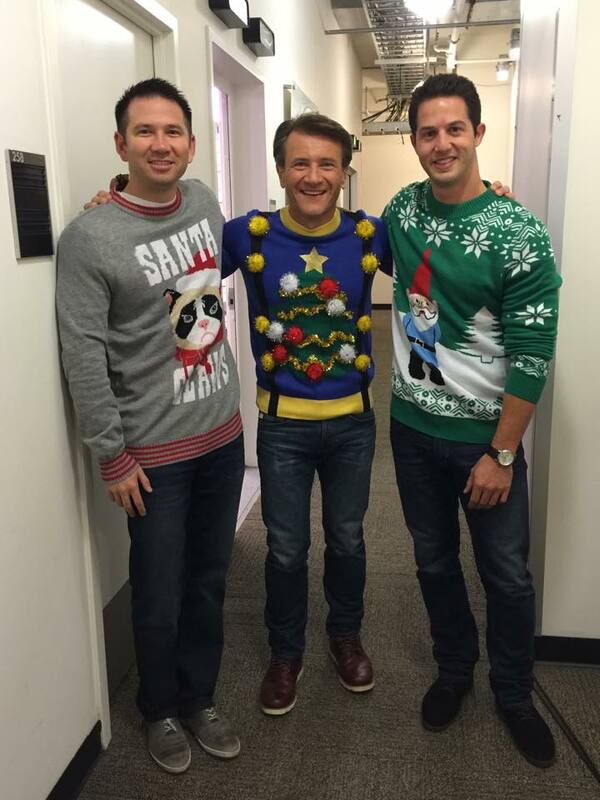 Myers Andras LP and the TRW Law Group represent Tipsy Elves. In response to a request for comment from Bloomberg BNA, Wal-Mart said that “we take these claims seriously and look forward to defending ourselves in court.” Target and Macy’s did not immediately respond to Bloomberg BNA requests for comment.